The bitter winters in Ohio call for good heating you can trust to keep running all season. If you want a better guarantee that your furnace will stand up to the chill, the best place to start is at Logan A/C and Heat Services. 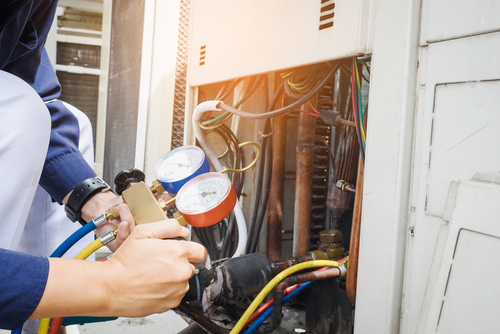 Our furnace maintenance packages can increase your heating output, maximize your energy efficiency, and help you minimize expensive repairs. Like any other part of the home, you have to take care of the furnace. The better care you can provide, the more it produces and the longer it will last. If you feel mystified by the specifics of gas or electric furnace maintenance, trust Logan A/C and Heat Services to manage all the details. Now that you know why maintaining your furnace yearly is so crucial to your home comfort, you can make it an important part of your fall to-do list. With prompt and professional attention from Logan A/C and Heat Services, you will appreciate how hard we work to put your home’s heating on the right path. We offer a comprehensive maintenance agreement that grants you priority service and scheduling, as well as discounts on related services. Sign up now to get the peace of mind that comes from knowing your furnace is in good hands. Many of our clients are concerned about saving money on their heating. If your budget tempts you to skimp on regular maintenance, we are happy to set the record straight. This is the most cost-effective way to attend to your furnace. You might be surprised to learn how affordable maintenance can be. It can even help you cut down on heating bills. Through our commitment to excellent residential heating service for 50 years, our team has expanded to accommodate many Ohio communities. If you’ve wondered, “Where can I find furnace maintenance near me?” look no further! Click on the city links to learn more about the local team and find your community on our extensive list of service areas. Have a question? Call any of our locations directly or send an email to info@logan-inc.com. Keeping your furnace in good shape does not have to be difficult with an expert like Logan A/C and Heat Services in your corner. To schedule an appointment for furnace maintenance or to learn more about our financing options, contact us today.